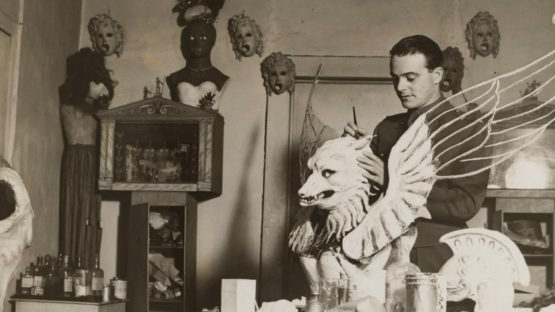 Oliver Messel was an English artist and one of the foremost stage designers of the 20th century. After completing his studies, he became a portrait painter and commissions for theatre work soon followed, beginning with his designing the masks for a London production of Serge Diaghilev’s ballet Zephyr et Flore (1925). Subsequently, he created masks, costumes, and sets – many of which have been preserved by the Theatre Museum, London.